In the face of the numerous brands and different prices of Explosion Proof LED Street Light, many consumers do not know how to buy, nor how to distinguish the quality of their quality. In this regard, Explosion Proof Light LED Supplier summarizes the four points that need to be paid attention to when purchasing LED explosion-proof lamps, to help consumers easily identify. The outer packaging of genuine LED explosion-proof lamps shall be marked with information such as rated voltage, voltage range and rated power, as well as brand trademarks and related certification marks. The trademark on the outer packaging of the genuine LED explosion-proof lamp has good quality, the font is clear, and it is not easy to fall off. That is to say, it is wiped with a soft damp cloth, and the trademark is still clearly identifiable. The trademark printing quality of counterfeit products is poor, the font is blurred, and the trademarks of some products can be erased with a damp cloth. In addition, there are no printed trademarks and related certification marks on the outer packaging of some inferior products. The genuine LED Explosion-proof Lamp adopts three primary color lamps, and the color of the lamp is white. When it is covered by hand, its color will look whiter. When purchasing, consumers can put together multiple LED explosion-proof lamps for comparison. The products with good shape and size consistency are generally mass-produced products, and the quality is mostly guaranteed. In addition, it depends on whether the appearance of the LED explosion-proof lamp is cracked or loose, and observe whether the interface has been traced. If there is, it indicates that it is a poor quality product. Genuine LED explosion-proof lamps will not appear loose or smashed during installation and disassembly. Consumers can also use the shell material to identify the quality of their quality. 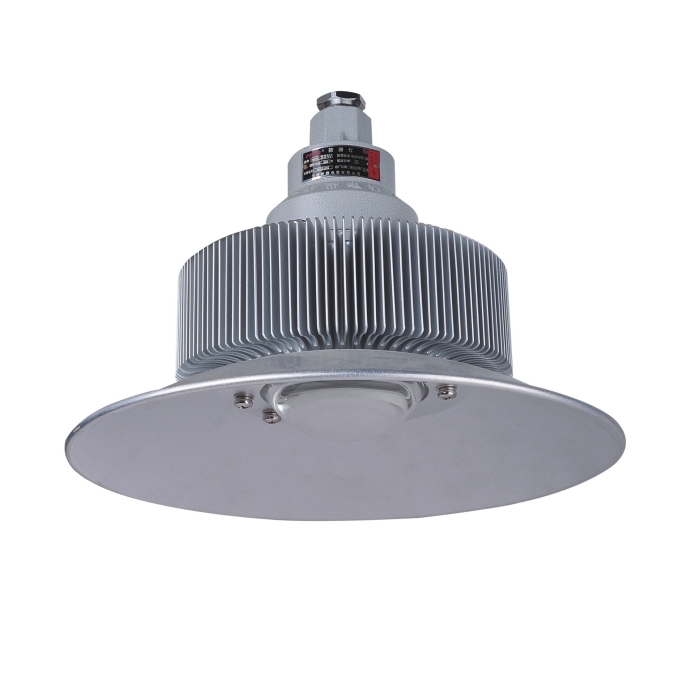 The plastic shell of the genuine LED explosion-proof lamp is made of flame-retardant material, and the texture is rough, similar to frosted glass. Inferior products are made of ordinary plastic, the surface is smooth and shiny, and these materials are characterized by easy deformation and flammability. Under working conditions, the temperature of the genuine LED explosion-proof lamp will not be too high, and it can be touched by hand. If the purchased product heats up significantly during work, it indicates a problem with its quality. In addition, if the LED explosion-proof lamp flashes, it also indicates that there is a problem with its quality. In China, electromagnetic compatibility is an important indicator for assessing the eligibility of electrical products. Therefore, consumers can check whether there is a relevant mark on the outer packaging when they purchase LED explosion-proof lamps. At the time of purchase, consumers can test with medium and short wave radios. Place the radio near the LED explosion-proof lamp after power-on and observe the noise emitted from the radio. The lower the noise, the better the electromagnetic compatibility of the product. Next: What Should I Do If The Explosion Proof LED Light Is Broken?